In my living room encouraging myself and others in Gods word. Recorded the day after Scott Brodie was profoundly impacted by a personal encounter with Christ. This experience has been an anchor in his fight against ALS and has always kept him believing the call of God on his life. Just months after Scott’s diagnosis, he states his desire to return to AZ. 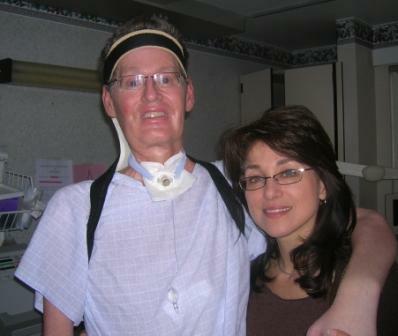 Over the years, God has led Scott through many dark nights with the terminal illness of ALS. 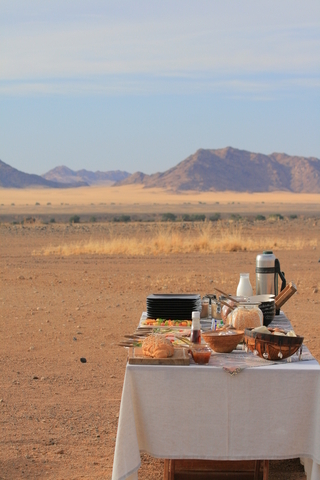 Traveling this path together has taken us into Death’s Valley; a lonely and desolate place for any soul. In these shadowlands our footing at times has been unstable; the effort of each step has developed in us a deeper trust in God. In this barren land, we thirst, longing and desperately seeking for the refreshment of Living Water. 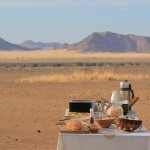 In God’s unfailing compassion, He has made springs in our desert and has prepared a table in our wilderness. He is near; His Word revives and nourishes our souls. Exceeding great and precious promises are ours in Christ. Steadfastly we hold fast to our hope in the confession of our faith leaning upon our Beloved Savior for comfort. This journey has required us to go beyond outward religious observances, performance or preconceived interpretations defining the ways of God. He does not take pleasure in being limited by unbelief but will not be restrained if we seek Him earnestly. As I look back since Scott’s ALS diagnosis in 1997, I can testify of our Father’s equipping provisions and wondrous works as He has lovingly kept us in His care. His Word has become more relevant and alive to us. Yes, God has had mercy on His afflicted giving Scott and I confidence to rest in His love by faith. The following medical episode has become a significant memorial of God’s faithfulness in our lives. 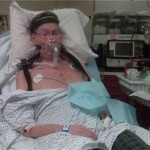 Related to several months of 2009 which became a crucible time of our faith, the specific account on the night of June 3rd chronicles what I perceived to be medical abandonment allowing for Scott’s closest experience with death. It has taken me some time to process the limitation of Scott’s medical care in the Emergency Room that night. I have sought to gain perspective instead of the incredulity and utter helplessness I experienced while trying to advocate for my husband’s life. When Scott arrived to the hospital they ran a bunch of lab tests. They also did a trach exchange to replace the one that was ruptured. Once doing so, they inflated the cuff so the ventilator could more fully support his lungs and the air would not escape through Scott’s nose and mouth. I explained to the doctor that we had the test results from the recent sputum culture indicating heavy growth of pseudomonas bacteria (which can be extremely dangerous for people with poor lung health and weakened immune systems). I also informed the doctor of the ineffective tablet antibiotic Scott had just finished and a prescribed treatment of 2ml antibiotic aerosolized through a nebulizer (breathing the small dose of medicine) that he had begun that afternoon. I believed Scott needed something more immediate and powerful in his bloodstream to get him over the hump toward being able to manage this chronic infection by nebulization. The ER doctor acknowledged this approach. Scott has a P.O.L.S.T statement on file at this particular hospital indicating that he chooses all life sustaining measures (including antibiotics). When the ER doctor telephoned the pulmonologist-on-call, he was advised that Scott should be sent home to continue the treatment he had begun with the aerosolized antibiotic. Without even seeing Scott, this pulmonologist maintained that with no other signs of infection from routine lab results, he only had a local lung infection. I asked the ER Doctor to please call the pulmonologist back to reaffirm this decision because I strongly believed Scott should receive intravenous antibiotics for expedient and thorough treatment. The ER doctor did as I asked but when he returned, he apologetically told us of his obligation to defer to the pulmonary specialist in this case and Scott would not be receiving I.V. antibiotics. He explained the concern of giving him the IV antibiotic that the bacteria could become more resistant to stronger antibiotics and eventually nothing would be left for Scott if he were to have Pneumonia in the future. I told him, I was more worried whether Scott could survive the night, not whether he would get a future pneumonia. We were both stunned and in disbelief; trying to process the dismissal. We were helpless, in a desperate situation for survival, unable to appeal to other medical personnel in ER because the authoritative decision made (over the phone) by the specialist Doctor. 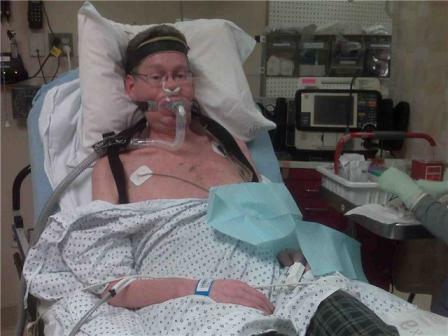 Even though he was not present to ascertain Scott’s labored breathing while on the ventilator. I could not comprehend that the hospital staff was restrained to help but instead were sending my husband home in this helpless state. I pleaded that Scott needed to stay. Seeing that I was distraught and attempting to console me, I was asked patronizing questions concerning my state of well being. Volunteering for me how exhausted I must be as the primary caregiver and inquiring whether or not I had additional help at home. I felt pitied and belittled since this had nothing to do with why I was so adamant that Scott receive healthcare. Scott was the one at the hospital for medical attention and he needed it urgently! When the ER doctor returned to the room I could sense that he had regret, he apparently was caught in the middle. He was the Doctor who had direct contact with us and could see that Scott was in a desperate state. He then suggested that he would place another call to the pulmonologist and that I could talk to him. I eagerly said I would surely speak on the phone to the pulmonologist, the ER Doctor left the room to place the call. He quickly returned in a change of manner and said abruptly; it had been decided; we were to leave and an ambulance was there to take us home. He then left the room. The Charge Nurse came in to try to smooth over the situation explaining to me that the hospital was too full and that we wouldn’t be able to get into a room until morning anyway (it was already almost 3 am). He asked me persuasively if we wouldn’t “rather be home, wouldn’t that be what Scott would prefer”…had we not “already talked about Scott’s final wishes?….whether to be at home or ……?” His voice kind of trailed off, I think he read my face. He was trying to help but was making matters worse by implying Scott’s impending death. I was infuriated by his questions and told him that we had come to the hospital for help and Scott’s “final wishes” did not have anything to do with why we had come to have an infection treated. I knew then that the staff had given up on Scott. Thank God for His ministers and servants! I contacted our family physician out of desperation as soon her office opened Thursday morning, June 4th. Dr. Paula was instrumentally used to dispatch a home infusion company to come out the following day. They accessed Scott’s port and began him on a 10 day course of IV antibiotics. I can’t begin to thank her and her staff for their empathy. I administered Scott’s antibiotic every 8 hours around the clock for the following 10 days. Scott responded to treatment within the first few days and was able to get off the ventilator and out of bed. He was very unstable and weak at first, not too sure of his own abilities, so our daily routine went very slow. Scott didn’t get out of bed each day until 3-4 pm in the afternoon and could only manage to be off the ventilator for a few hours. Slowly, Scott began to recover in the following weeks. On Father’s day, June 21st the kids were able to honor their dad. In our trouble, God was with us and delivered us (Ps 91:15). In our desperate search during the years of Scott’s affliction, God continues to reveal His providential care. I’ve now had a few years to gain perspective looking back to the perilous months before and after Scott’s tracheotomy surgery in 2009. All hell seemed to be closing in to extinguish Scott’s life, to prevent him from being a light to this world and share the Good News of the Gospel. Scott’s increasing dependence upon others has rendered him powerless to control even his own breath. As we identified with Jesus, we confronted our own “Gethsemane” experience to surrender to the Father; “Not my will but thine”. At times, we agonized in our prayers because God, for some reason, was silent choosing rather to hide Himself (Ps 42; 43; Luke 19:41-42). I have watched God’s covering of protection see Scott through many close calls to praise the Lord another day. If the Lord had not intervened in mercy with deliverance and provision, Scott would not be alive today. At times we have felt as though we were drowning in our circumstance, floodwaters driving us beyond the borders of our capacity. God faithfully brings us through these waters too deep to cross (Ezek 47:3-6) taking us places we may not willingly go. His mighty river transforms death into Life by the flow of the Spirit carrying us the increasing current of the Lord; according to the will of God and not our own. Over the years, despite monumental opposition against the calling on Scott’s life, we have been compelled to walk ever closer to our Savior. As we incline our ears to hear His voice, we experience His Living Word, we are enlarged to grow and sow seeds of faith into the lives of others; walking as stewards of the manifold Grace of God. Scott had stayed at this same hospital for his Tracheotomy surgery just 2 months prior; on file they had the documentation of Scott’s Advanced Directives, Power of Attorney and P.O.L.S.T statement (Physicians Order for Life Sustaining Treatment). A checkbox within this statement informs medical personnel NOT to refuse antibiotics if life can be prolonged; Scott consented to all interventions, those were his wishes. Considered “Full-Code” his POLST was signed the month prior, incidentally, by the pulmonologist on-call who gave the orders to send Scott home without antibiotic treatment. Pseudomonas can become systemic throughout the bloodstream and can become fatal. The Cystic Fibrous populations consistently have to be treated with antibiotics because of the persistent and colonizing character of pseudomonas and other forms of bacteria that can be life threatening. The following medical episode has become a significant memorial of God’s faithfulness in our lives. Related to several months of 2009 which became a crucible time of our faith, the specific account on the night of June 3rd chronicles what I perceived to be medical abandonment allowing for Scott’s closest experience with death. It has taken me time to process the limitation of Scott’s medical care in the Emergency Room that night. I have sought to gain perspective instead of the incredulity and utter helplessness I experienced while trying to advocate for my husband’s life. 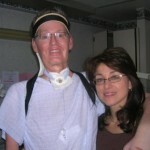 For Scott’s tracheotomy surgery and recovery we spent six weeks in the hospital and nursing home. Scott had to learn to adapt to a ventilator machine controlling his breath instead of the natural involuntary action of breathing. Many aspects of Scott’s dependence and vulnerability dramatically increased due to this drastic intervention to support his breathing. In addition, there were numerous lifestyle adjustments we had to make when returning home including the management of our schedules; ventilator and supplies just to name a few. There were also home health nurse visits and follow up doctor appointments. As we made different living adjustments the demands and schedule of daily care were new and difficult. God fortified our hearts “to stand” in our faith (Eph 6:13b “having done all; to stand”). Concerning the will of God; we felt impressed in our hearts not try to “figure” and theorize the whys, what’s next, or the how-to’s remembering that “Sufficient for the day is its own trouble” Matt 6:34b. At the time, we were slightly disillusioned with God, not comprehending His wisdom or ways. It seemed that He had hidden Himself from us. The instruction “to stand” was concise and simple and was all that we could do in our faith to trust God. We were in a helpless and needy place, desperate for more understanding. Scott and I did not know what lie ahead for our lives; our road was seemingly going to get more difficult. “To stand” was His instruction; it didn’t seem like much comfort at the time but became the reference point where, I believe, God took us deeper into abiding in His loving care, trusting Him despite of our circumstances. 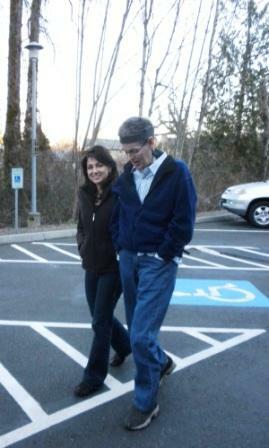 The month following Scott’s discharge from Rainier Vista Nursing Home on April 28th 2009, his body was feeling weaker and his stamina was diminishing. He was still able to wean himself off the ventilator each day for 10-12 hours. Scott complained of these symptoms to the home health nurse and requested to have an updated sputum lab test and evaluation with a treatment protocol for the pseudomonas bacteria in his mouth, throat and lungs. He was increasingly being restricted in his ability to breathe while on and off the ventilator The secretions within his mouth were again getting gelatinous, I could noticeably feel resistance performing “in-line” suctioning on Scott while he was on the vent (suctioning done through the trach tube into the upper part of the lungs). The tubing which could usually gently slide down Scott’s trachea no longer would glide but felt as if I needed to push down through something dense. The extension of the tubing was being impeded by the mucous and was so thick that I could not bring it up through this invasive suctioning method. A bacterial infection was colonizing and rapidly multiplying within his lungs. Scott was suffocating from this escalating infection. By Monday, June 1st, despite taking a powerful antibiotic tablet twice daily (prescribed the previous week) Scott no longer had the energy to get out of bed. He could not get off the ventilator as he had been doing. The other problem was the cuff (balloon) in his trach tube had ruptured and wouldn’t inflate to permit more volume support directly to Scott’s lungs. The deflated cuff allowed the pressurized air to escape through Scott’s mouth and nose and also caused frequent coughing. Scott had no energy, motivation or initiative; he seemed to be slipping into a dangerous place of lethargy. I made calls to his local pulmonologist inquiring about the need for IV antibiotics; I also called his pulmonologist at the UW research hospital. I franticly tried to arrange for the infectious disease clinic to treat Scott with IV antibiotics. I met resistance to all my attempts to obtain an Order for antibiotic infusion. By Wednesday, Scott had grown so weak he appeared to be sinking further into his recliner bed. He was not personally engaged with anything; conserving any expenditure of energy and sleeping a lot. I feared I was losing him; he was increasingly vanishing from life and seemed resigned to it. His dependence on the ventilator and hoses made it difficult to see how I would transport him to the hospital (which is less than one mile away). I kept insisting to him that we needed to take him to the Emergency Room but he was afraid and reluctant to move. I wanted to call the ambulance but knew that they would not transport him without his consent since he was conscious and able to refuse. 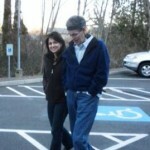 All throughout the day, our caregiver, my daughter and I all tried to convince Scott that he should not wait any longer …. he needed to get immediate antibiotic intervention at the hospital. Finally, he agreed and we called the ambulance Wednesday evening. When Scott arrived to the hospital they ran a bunch of lab tests. They also did a trach exchange to replace the one that was ruptured. Once doing so, they inflated the cuff so the ventilator could more fully support his lungs and the air would not escape through Scott’s nose and mouth. I explained to the doctor that we had the test results from the recent sputum culture indicating heavy growth of pseudomonas bacteria (which can be extremely dangerous for people with poor lung health and weakened immune systems). I also informed the doctor of the ineffective tablet antibiotic Scott had just finished and a prescribed treatment of 2ml antibiotic aerosolized through a nebulizer (breathing the small dose of medicine) that he had begun that afternoon. I believed Scott needed something more immediate and powerful in his bloodstream to get him over the hump toward being able to manage this chronic infection by nebulization. The ER doctor acknowledged this approach. Scott has a P.O.L.S.T statement on file at this particular hospital indicating that he chooses all life sustaining measures (including antibiotics). When the ER doctor telephoned the pulmonologist-on-call, he was advised that Scott should be sent home to continue the treatment he had begun with the aerosolized antibiotic. Without even seeing Scott, this pulmonologist maintained that with no other signs of infection from his lab results, he only had a local lung infection. Suddenly, Scott’s eyes looked desperate and he got wide-eyed; something was distraughtly wrong. Since he couldn’t speak, he frantically motioned to me to get help, he started to turn purple although he was still attached to the ventilator (alarms going off) which was suppose to be breathing for him. I ran out of the room, yelling for assistance, the doctor and nurse rushed in and suctioned Scott. They dislodged either a blood clot or mucous plug and gave him additional oxygen. He began to catch his breath. I helplessly watched in desperation, afterward I sarcastically remarked to the nurse “yeah, he certainly looks like he should be sent home”. With compassion the nurse asked me if I thought he should be kept for observation. I said “YES! !” She left the room and made an appeal to the ER Doctor and another phone call was made to pulmonologist. Again, Scott was declined to stay for treatment or observation. By this time I was very distraught and livid. Although Scott could not speak……I COULD and I WAS ADVOCATING our wishes (my friends know that I can be rather tenacious). I was appalled that Scott was being refused treatment at the one place I knew he should receive it! I subsequently refused to sign any release/discharge papers of any kind. With the ER Doctor still in the room, I asked Scott (who was fully cognizant) what it was that HE wanted and he spelled out the letters “HELP!” with his foot in exaggerated movement. I could not comprehend that the hospital staff was restrained to help but instead were sending my husband home in this helpless state. I pleaded that Scott needed to stay. Seeing that I was distraught and attempting to console me, I was asked patronizing questions concerning my state of well being. Volunteering for me how exhausted I must be as the primary caregiver and inquiring whether or not I had additional help at home. I felt pitied and belittled since this had nothing to do with why I was so adamant that Scott receive healthcare. Scott was the one at the hospital for medical attention and he needed it urgently! When the ER doctor returned to the room I could sense that he had regret, he apparently was caught in the middle. He was the Doctor who had direct contact with us and could see that Scott was in a desperate state. He then suggested that he would place another call to the pulmonologist and that I could talk to him. I eagerly said I would surely speak on the phone to the pulmonologist, the ER Doctor left the room to place the call. He quickly returned in a change of manner and said abruptly; it had been decided we were to leave and an ambulance was there to take us home. He then left the room. The ambulance drove us home early Thursday morning; Scott returning without having received the antibiotic intervention we were convinced he needed. I was in the cab of the ambulance with tears of disbelief. I could not comprehend the Emergency Room sending Scott home as if he didn’t merit any further efforts from the physicians-these are the qualified practitioners we all go to for assistance in times of health crisis. This experience was my first introduction to what is considered futile care “the belief that in cases where there is no hope for improvement of an incapacitating condition, that no course of treatment is called for”. Those we dealt with in the ER may have supposed we did not see the “writing on the wall”. After all, my husband has a terminal diagnosis of ALS and has outlived his life expectancy, Scott already having the life sustaining interventions of a feeding tube and tracheotomy. He had laid there looking so pale, his body wasted to skin and bones at 130lbs. We must have appeared to be a poor, pitiful couple. Did they suppose we were living in denial of the ALS demise? Was the concern that we were living in “False Hope”? This phrase (although widely used) negates hope. I have always been reluctant to caution a hopeful expectation. As discerning believers, trusting in The God of the Impossible enables our faith to rest in hope (Ps 16:9). When we have nothing else by sight, we can still hope in the goodness of God. It is said of Abraham, the father of our faith “against all hope, Abraham in hope believed and so became the father of many nations” (Ro 4:8 NIV). The apostle Paul prayed “May the God of hope fill you with all joy and peace in believing, that you may abound in hope by the power of the Holy Spirit (Ro 15:13). We can have “full assurance of hope until the end” (Heb 6:11) putting our hope in the living God, the Savior of all people and especially of those who believe (1Tim 4:10). Whether or not God works a miracle of physical healing for Scott or He continues to give him grace to live on; impacting others through the witness of Christ’s strength through weakness; we can rejoice in the hope of the glory of God “..because the love of God has been poured out in our hearts by the Holy spirit who was given to us” Ro 5:5b. Scott has decidedly been in “denial” ever since he was given the pronouncement (in 1997) that he would die in two years. We were told when receiving Scott’s diagnosis that there is no-cure or any effective treatments available for the condition of ALS. At that time we were in our mid-thirties, very healthy and active, raising our young family. We worked in our emerging service business and were fully involved in our Church. That afternoon our futures seemed to be robbed from us. Scott was given no hope of watching our four kids grow up, no apparent hope of continuing to serve and pursue His calling in the Body of Christ. No financial security for our family and no possibility of he and I growing old together in marriage. This new “reality” impacted everything! Suddenly with this diagnosis there were no possibilities, only expert advice to “get your affairs in order”. Years have passed and we are now in our early fifties; having hope when our faith was shaken has been a determined disposition taking us through years of suffering and hardship. Many who have gone through various trials can attest that adversity has the potential to draw us ever dependent on God. We have to be willing to seek God in our affliction, He empowers us to overcome in our circumstance no matter what we face. When we have no control or strength of our own, we see the hand of God working in our lives, many times carrying us through. Scott and I pray we would not deny the Lord His predetermined purpose to glorify His Son through our lives. We pray that we “may live a life worthy of the Lord and please him in every way: bearing fruit in every good work, growing in the knowledge of God” (Col 1:10 NIV). This settled mindset and fixed heart will take us beyond our natural ability into His enabling grace storing up for ourselves exceeding great rewards in heaven (Mat 5:12). As the patriarch David said foreseeing the Lord’s Day “Therefore my heart is glad and my tongue rejoices; my body also will rest in hope” (Acts 2:26). God’s provision through the Holy Spirit can quicken our mortal bodies and supersede natural laws. With a heart of faith, Scott’s “final wishes” are that he would be found to be a faithful servant of God, rejoicing in hope until the end of his life. Thank God for His ministers and servants! I contacted our family physician’s out of desperation as soon her office opened Thursday morning, June 4th. Dr. Paula was instrumentally used to dispatch a home infusion company to come out the following day. They accessed Scott’s port and began him on a 10 day course of IV antibiotics. I can’t begin to thank her and her nurse for their empathy and speedy response. Dr. Paula has been our physician for 27 years; through 3 of my pregnancies, child wellness checks, immunization, ailments and the other concerns of our whole family over the years. Having known Scott since before the onset of any ALS symptoms, Dr. Paula has always advised and supported us through both traditional and alternative treatments. In addition, I can boast of her many house calls. One of those house calls was Friday, June 5th, after the infusion company’s nurse had come out to begin the antibiotic treatment for Scott. When Dr. Paula came to our home we visited in our bedroom she made her own observations of Scott’s condition. Scott was still unable to move from his recliner bed and ventilator. With an abundance of words from me and with the translation of the words Scott spelled out with his foot (because he couldn’t speak at the time) we recounted to our doctor, our friend, everything that had happened that week. Scott wanted to pray a blessing over her for God’s supernatural wisdom and grace to bless her personally and her medical (ministry) practice. She humbly knelt on the floor and held Scott’s foot as I prayed over her. We are so thankful for God’s long term provision through Dr. Paula in her profession and expertise. We appreciate her immensely and believe for God to bless her abundantly in her personal and professional life. I administered Scott’s antibiotic every 8 hours around the clock for the following 10 days. Scott responded to treatment within the first few days and was able to get off the ventilator and out of bed. He was very unstable and weak at first, not too sure of his own abilities, so our daily routine went very slow. Scott didn’t get out of bed each day until 3-4 pm in the afternoon and could only manage to be off the ventilator for a few hours. We praise God that he could get off the vent at all. By becoming reliant on the pressurized volume of air support, many people become vent-dependent because their breath support is predictable and so much easier on the ventilator. Eight days after Scott began the IV treatments he felt well enough to attempt a shower. I changed him into his swim trunks so that my daughter could help me. Scott was feeling very good, he and I joked around about him going to the beach since he was dressed for it. He looked a sight! 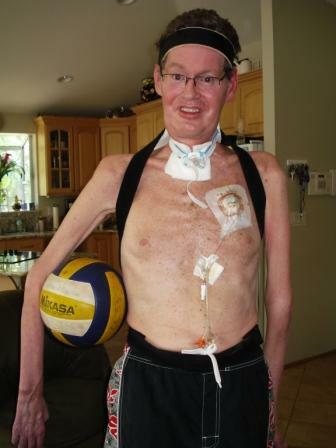 We decided that if he was going to the beach we imagined he could play a little beach volleyball, so we found a volleyball and stuck it under his arm. We were having so much fun laughing with him. Lightheartedness is one of the ways our family has always handled the constant barrage of challenges we have faced over the years. The laughter was such a release from the pressures we had been under from the previous weeks. Slowly, Scott began to recover in the following weeks. On Fathers day, June 21st the kids were able to honor their dad. I appreciated the following quote on the issue of doubt and unbelief since I had my times of doubting that Scott would survive until Father’s Day. As honest seekers we are always challenged in believing and trusting God. We say also as did the apostles “Lord, increase our faith” (Luke 17:5). In our trouble, God is with us and delivers us (Ps 91:15). In Scott and my own search during affliction has revealed His providential care; we trust in the Lord’s mercy for rest and refuge. Over the years, despite monumental opposition against the calling on Scott’s life, we have been compelled to walk ever closer to our Savior. As we incline our ears to hear His voice, we experience His Living Word. He enlarges us to grow and sow seeds of faith into the lives of others; walking as stewards of the manifold Grace of God. Pseudomonas can become systemic through the bloodstream and become fatal. The Cystic Fibrous populations consistently have to be treated with antibiotics because of the persistent and colonizing character of pseudomonas and other forms of bacteria that can be life threatening. Ron Owens 2009 Manley Beasley: Man of Faith- Instrument of Revival Crossroads Publishing pg 137.